Happy Birthday layout featuring MultiCraft and Chameleon Pens. 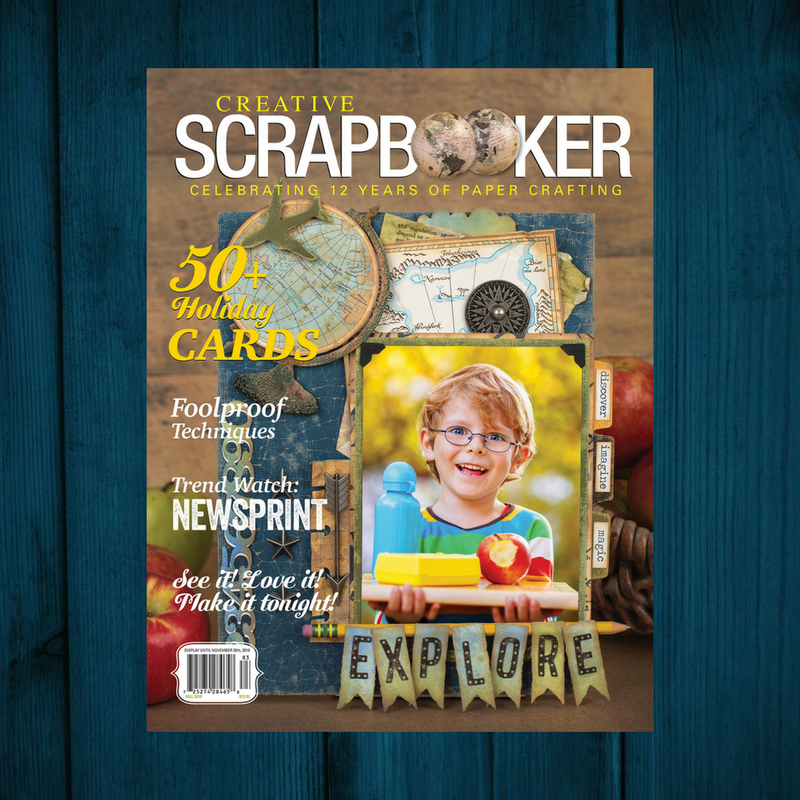 Hello everyone Kerry Engel here today on the Creative Scrapbooker Magazine blog with a simple Happy Birthday layout featuring products by MultiCraft and Chameleon Pens. SUPPLIES: MultiCraft cardstock, laser-cut wood shapes, price and labeling swing tags, puffy letters stickers, Art Therapy stickers, stamps and typewriter letters, Chameleon Color Tone Pens. I was immediately drawn to Multicraft’s Art Therapy Stickers. They are massive stickers that you can color, how fun is that? They offer so many possibilities. The package comes with large stickers and labels that can be combined to create a graphic, whimsical layout. I could have colored the entire sticker, (they are smooth and they love Chameleon Pens), but I opted to leave it in black and white and just color one label. I adhered the label sticker to some cardstock to give it some strength. After I colored it with my Chameleon Pens I mounted it on foam squares to give some dimension to the layout. The large Art Therapy stickers have a sentiment in the middle. Using an exact-o knife I cut around the inside of the label, creating a frame. I layered two photos inside the frame. I only have two pictures from my daughter’s birthday and I wanted to use both inside the frame. The portrait photo had deep shadows and a goofy background so I fussy cut it out and layered it on top of the group photo. It gives the layout an art journal feel and adds a bit of humor. MultiCraft Pricing and Labeling tags have a lot of possibilities too. I stamped part of a daisy on the bottom edge and then journaled on the little tags. I created a cluster of three tags to hang off the title. To finish off the layout I added letters and numbers and some wooden birds. Because everything is better with birds on it.